Herald: Rising global sea level to wash out coastal tourism? Satellite-based observations suggest that global mean sea level has been rising at a rate of about 3±0.4 mm per year since 1993. By considering interannual and decadal variability and instrument errors, the sea level is accelerating every year at 0.084±0.025 mm per year. At this rate the global mean sea level could rise to 65±12 cm by 2100 due to melting of the ice sheets and increase in ocean heat content due to global warming. This figure is enough to cause significant problems for low-lying coastal cities worldwide such as displacement of coastal population and transformation of the competitive position and sustainability of coastal tourism destinations, with important implications for property values, potential tourism revenues, insurance costs, and destination marketing, thereby depleting local and national economies. What causes the sea level to rise? Sea level rises on account of global warming and due to more fresh water from ice melt. Over the past century, enormous concentration of greenhouse gases (compounds with capacity to absorb, hold and trap heat emitted by earth surface), such as water vapor, carbon dioxide, methane, nitrous oxide, ozone, chloroflurocarbons and hydrofluorocarbons, some of which are released from combustion of fossil fuels and others from industrial activities, have raised the air temperature close to a degree. Oceans absorb about 80% of atmospheric heat causing sea level to rise due to thermal expansion. Second, melting and thinning of polar ice sheet and retreating glaciers due to global warming generates fresh water that flows into the ocean increasing the sea level across the globe. The rate of sea level rise at a given place is affected by global, regional, and local factors. Recent research suggest that land ice loss added nearly half of the total global sea level rise between 1972 and 2008, but its contribution has been increasing since the early 1990s as the pace of ice loss has accelerated, contributing 75 to 80% of the total increase during that period. How high and how quickly will sea level rise in the future? The greenhouse gases has different lifetime (survival) in air ranging from 12 years for methane to thousands of years for carbon dioxide. Scientists have used numerical models to generate a scenario on how quickly land ice responds to rising temperatures due to different concentration levels of these gases. They infer that our past emissions of heat-trapping gases will largely dictate sea level rise through 2050, but our present and future emissions will have great bearing on sea level rise from 2050 to 2100 and beyond. Even if greenhouse gas emissions were to drop to zero in 2016, sea level will continue to rise in the coming decades, as oceans and land ice adjust to the changes we have already made to the atmosphere. The greatest effect on long-term sea level rise will be the rate and magnitude of the loss of ice sheets, primarily in Greenland and West Antarctica, as they respond to rising temperatures caused by heat-trapping emissions in the atmosphere. Moreover, events like storm surge due to frequent intense cyclones, tsunami, spring tide etc, will raise sea level higher with potential impacts across a whole region from rising seas. For example, low-lying areas of New York City, Long Island, and New Jersey were flooded by several feet of water by the storm surge from superstorm Sandy in 2012. The combination of storm surge due to cyclone Ockhi and high tide raised the sea level abnormally causing seawater to ingress into the shacks along the Goa’s coastline in December 2017. What could be the cost of the damage due to sea level rise? According to the UN Scientific panel (IPCC) report, Caribbean nations which make up the Caricom (Caribbean Community), the cost of the damage and necessary rebuilding caused by sea-level rise by 2080 could be US$187bn. This includes damage to multi-million dollar tourism resorts, Caricom airports, and the inundation of land. In the Bahamans with a combination of sea-level rise and storm surge, 22% of the population is at risk of flooding. Annual costs to the Bahamas Gross Domestic Product will predominately be tourism losses of between US $869m and $946m in 2050 and $2.2bn and US $2.6bn in 2080. Losses are projected to amount to between $283m and $368m in 2050 for Barbados. 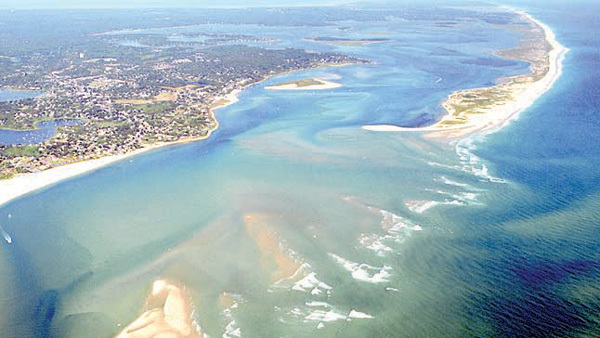 In the US, approximately 25 million people who live in an area vulnerable to coastal flooding and coastal tourism, contribute 58% of the national gross domestic product (GDP). With a coastline of 105 km, Goa ranks among the top 12 tourist destination states in India for coastal tourism, with a growth rate of tourism estimated to be 15% in 2014 which contributes 18% to the GDP of Goa. The study conducted by the Pune-based Central Water and Power Research Station found out that over the years the problem of coastal erosion due to rising sea level has accelerated, and about 25 km is affected. From the media reports that emerged post-Ockhi cyclone, most damage due to seawater ingression onto the beach occurred in Morjim, Mandrem, Arambol and Querim beaches in Pernem Taluka, Anjuna, Baga, Coco in Bardez, Baina beach in Mormugao Taluka. Wave-related erosion has also been observed at many beach pockets from Colva to Benaulim. In future, the cost of damage due to sea level rise is going to rise and coastal tourism-related economic benefits are expected to subdue. Warm oceans would also increase evaporation leading to increased rainfall and enhanced runoff would increase nutrients (e.g., fertilizer) and discharge of land-based pollutants into the sea, and would increase the overflow from combined storm and wastewater sewage systems. This can compromise water quality, exacerbate algae blooms, deplete oxygen in the water (known as hypoxia) and lead to more beach closures. Warm oceans can also fuel more severe storms leading to cyclone-related precipitation causing flooding and increased runoffs could polluting fresh water reservoirs and increase the spread of vector-borne diseases. These factors can have negative consequences for recreation and coastal tourism. Warmer waters increase fish's need for oxygen but climate change will result in less oxygen in the oceans. This means that gills have less oxygen to supply to a body. The research published in Global Change Biology suggests that fish are expected to shrink in size by 20 to 30% in order to fulfill their needs with the little oxygen available to them.